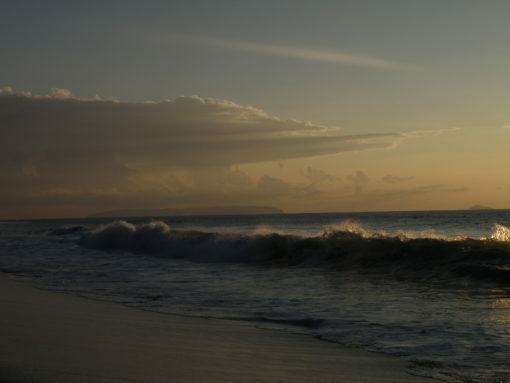 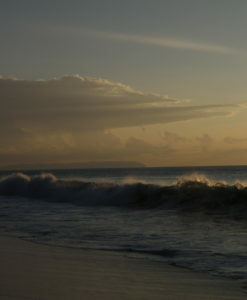 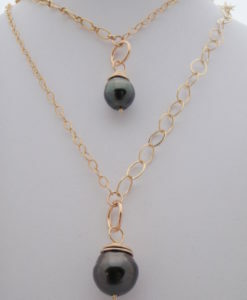 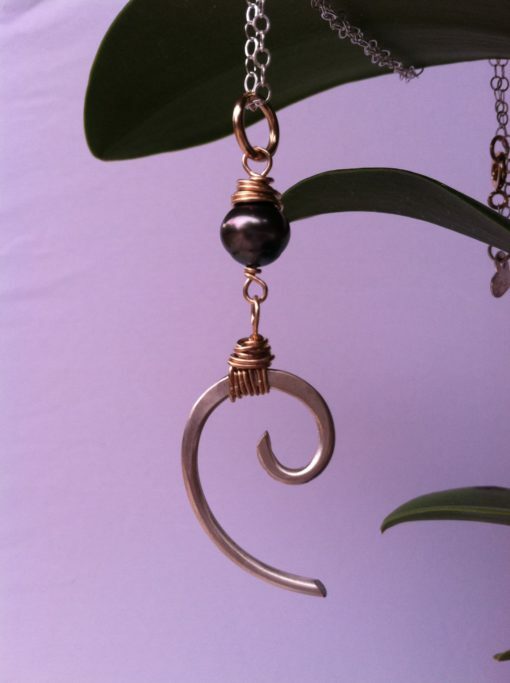 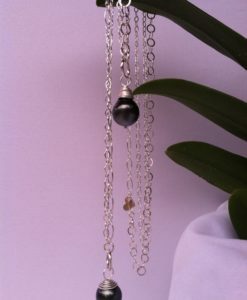 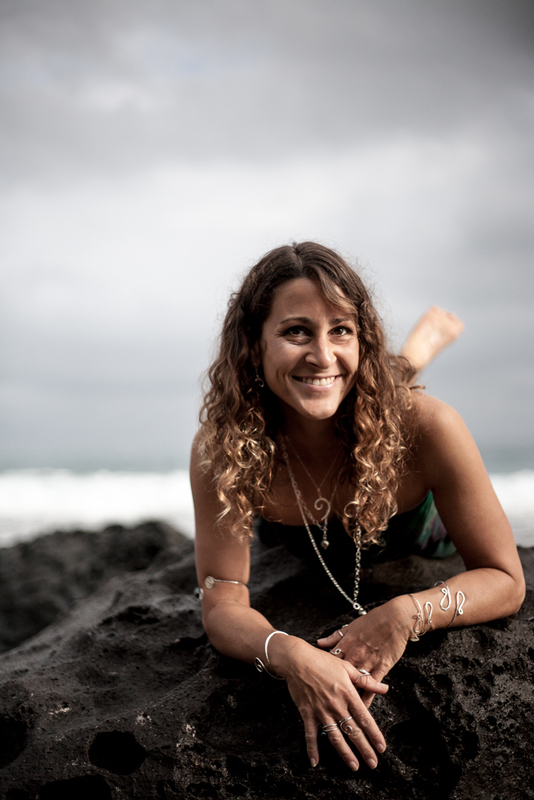 The Popular Wave Necklace is now available with a black pearl from Tahiti! 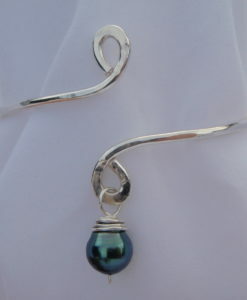 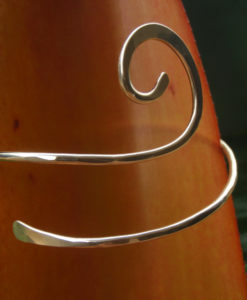 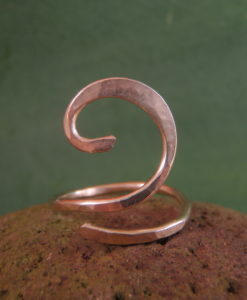 Feel the ocean through a pearl glistening above a beautiful hand hammered wave. 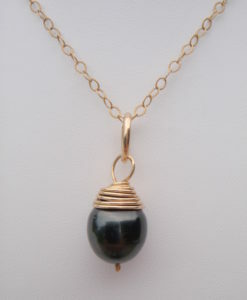 The lustrous pearl is 9mm. 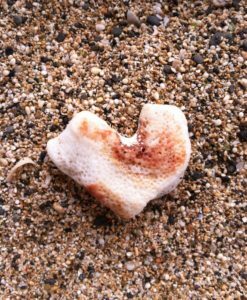 This beautiful pearl lived was inside of an oyster for 2 years! 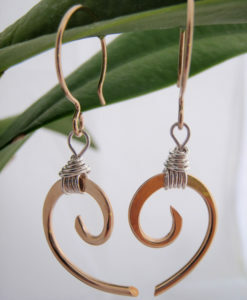 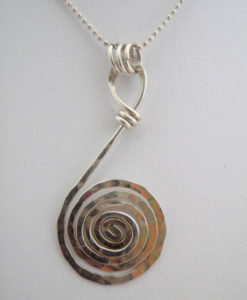 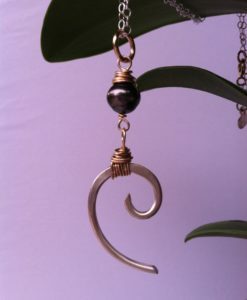 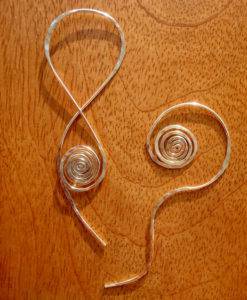 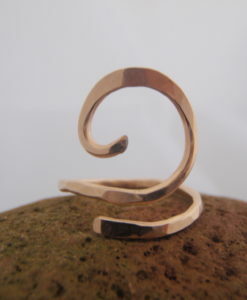 The wave is Argentium Silver with a 14 Karat Gold Filled wire wrap. 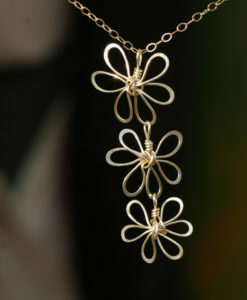 The piece is signed and has a 16″ Sterling Silver chain with a gold clasp. 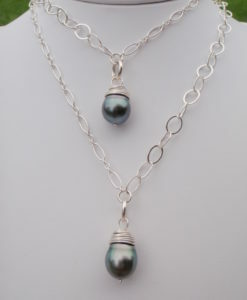 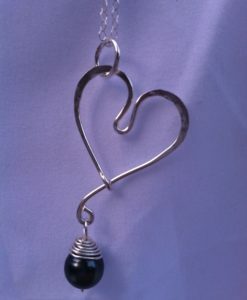 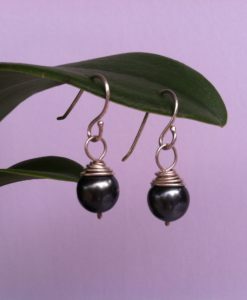 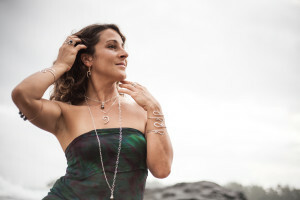 The Wave Design Silver Tahitian Pearl Necklace makes an elegant Hawaii gift for yourself or any occasion such as Valentine’s Day, Christmas, Hanukkah, Wedding, Anniversary or Birthday.